Kudos to the USDOT’s inventive crisis development team and its marketing agency for the recent avalanche of releases and news stories that appear to be from disparate sources, making one plausible dire highway safety need for intervention claim after another; distracted driving, cell phone use, texting, teen drivers, 55 mph limit and increased death rates, community policing etc. These calls for intervention can be seen as part of a coordinated nefarious strategy to circumvent our laws and safety standards, and expand the USDOT’s power for the benefit of a few, culminating with a "LaHood to the rescue" declaration, on cue, with his Trojan horse distracted driving Safety Summit. The question is whether LaHood is a victim, like most who trust the USDOT, or is he a purveyor of this fraud? More importantly, how did this happen? What we did right: With “The Highway Safety Act of 1966”, Congress laid the foundations to advance roadway safety per its Constitutional authority in Article 1. Thus all rules governing the field of “Roadway Safety” shall be Constitutional, conform to Congress’ intent, and the exercise of police powers thereof SHALL also be fact based and uniformly applied regardless of state lines, entity type or classification on any private or public roadway, bike path or pedestrian facility open to public travel within the US and its territories. All USDOT administrative acts are subordinate. Where it went wrong: Early after the USDOT’s creation in 1966, its mission became duplicitous in that Congress also charged National Highway Traffic Safety Agency (NHTSA) to market the merits and success of its National Maximum Speed Limit (NMSL) after Congress had vested heavily in creating an army, with support staff to enforce it, when the data was showing nothing could have been further from the truth. Thus, NHTSA, the USDOT agency charged with these responsibilities began manipulating the data to show success, when that wasn’t sufficient, they started manufacturing the data and supporting studies. Where we are now: Over time, NHTSA’s with its ends justifies the means ethos, manufactured data, false cause and effect safety myths, and the aid of billions of dollars and ubiquitous unchallenged PSA's created to mislead our engineering and public safety institutions, the judiciary, academia and We the People, and with its coconspirators, it ultimately misled Congress. NHTSA and its beneficiary special interest have parleyed this costly Public Safety Face into a controlling interest in the USDOT’s conduct, to the clear detriment of safety and due process. What can we do: If Congress really wanted to be constructive and advance highway safety, it would hold hearings to ask why the USDOT has facilitated a state of anarchy in practice, expectation and due process, and compel them to return to best practices, the rule of law and assure our nation’s practices conform; with a representative government representing We the People. What’s also been missing is a no nonsense champion for the common good, a leader, someone who is knowledgeable and not under the influence. Because without uniformity and fact based laws, neither safety nor due process can be achieved. LaHood announces Trojan Horse Safety Summit being delivered in September! The universal solution is always new laws and ever growing justifications for traffic stops, improvements in writing citations en masse and curtailing due process. One thing that would shock most Americans is the fact that writing traffic citations, as practiced on our highways, has been documented to have a virtual zero effect on accident rates. Well over 90 percent of the more than 50 million citations written each year are issued to those according to the FHWA; et al are otherwise driving safely. 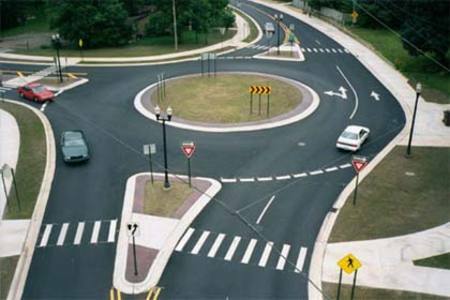 This is where the National Highway Safety Administration, NHTSA, AKA the Federal Agency of Urban Myth shines. With billions of public treasure and billions more from insurance companies over the decades they have created a public cause and effect perception that is patently untrue. The special interests have taken over our public safety policies to a point that true safety programs go unfunded and neglected. This is where it gets scary, because what is killing us is not attributed. Who will we find manning this Trojan Horse Summit? The guest list is a who’s who of regulators that benefit from regulating, special interest, empire and political favor seekers and those that profit from them and their minions; none represent the ‘Common Good’, ‘We the People’ or the ‘Rule of Law’ or empirical scientific findings or our safety. NONE! This USDOT Safety Summit is like a national meeting of McDonald’s franchisees being organized to represent the rights of cattle. Thank you CNBC and your guest speaking on behalf of small business in regard to the special interest running Washington for this gem, because it’s perfect for our current highway safety industrial complex, too. The National Highway Safety Administration (NHTSA) chart here clearly shows that there is NO CORRELATION between their myriad of crisis claims, safety programs and the actual accident data. Cell phone use increased exponentially and in the month of December 2008 10 billion texts were sent, with zero effect on the rates, not even a bump, likewise, for the other issues in the headlines recently. The greatest correlation to the number of fatalities and fatality rates is the economy and levels of discretionary driving, roadway and vehicle design, not the number on a sign or the regulation of a reasonable person acting responsibly. How did NHTSA, AKA the Federal Agency of Urban Myth get its start? It first came to our attention with its National headline talking point was the more than 9,000 lives saved by the 55 mph limit. Small details didn’t seem to bother them; like the fact deaths dropped in every category and that the overwhelming majority of the reductions came from roadways posted 45 mph and less, not our highways. Talking points they still use today. How did this Safety Myth come to be what we believed? The oil shock, and rationing put our country into a severe financial downturn. The national speed limit on the other hand was windfall for the insurance companies from the millions and millions of citations they were able to attach surcharges to. It was also a full employment act for the traffic enforcement industrial complex; more than a half million of new officers, judges, clerks, DAs etc, building of court houses, police facilities etc. The radar vendors were in nirvana; the return on investment for a police department was measured in weeks. The entire industry was in a boom period while the country suffered. Oil shock subsides and we have an expansive increase in infrastructure dedicated to writing citation, manned with an army of PUBLIC employees, and the insurance companies were very happy with their take too. That is when the fictitious 9000 lives saved became the lynchpin of what is now safety propaganda. Congress signed up to keep this fraud going by citing the mythical safety benefits. The fly in the ointment for the state was if they didn’t show compliance they would lose federal highway funding. This is when NHTSA also became creative in its compliance reporting requirements. The states no longer had to show the free flowing speeds; they could use the 24 hour all traffic averages, including congestion to show compliance. That was just the beginning, compliance reports discouraged using snow days, but it didn’t exclude them, some states placed highway patrol vehicles at the measurement sites, some used roads that weren’t even posted 55 mph and so on. Now you know why when you drove your eyes told you few were driving at or below the speed limit, when NHTSA on every news outlet was reporting the wide acceptance by the public and compliance nationwide. Next was showing that the enforcement was reducing accidents, which wasn’t true, either. Transportation Research Board Special Report 204, “55: A Decade of Experience” documented a very different story when you separated the PR from the actual data. Speed enforcement as practiced had no effect on accidents or traffic speeds except for a speed halo in the vicinity of an enforcement vehicle regardless if they were writing citations or not. Unmarked cars had no effect either except increased citations. Saturation enforcement changed speeds when their presence was expected, but that too was gone within a day. The vehicles traveling faster than the average had the lowest accident rates. The overwhelming majority of the high profile enforcement efforts were targeted at the motorists that are least likely to be involved in an accident, on the safest roads. On the open highway excessive speed as the cause of an accident was closer to 1-2 percent, not the Related 31 percent NHTSA used. Traffic had returned to its prior speeds and accidents rates continued on their historical decline. Thus the public safety advertisements (PSA) that speed enforcement was a critical factor in accident reduction had no factual foundation, SAFETY MYTHS, reinforced and paid for with millions and millions of tax dollars. Myths we continue to allocate significant treasure to while we neglect those programs that could save lives. In 1995, when Congress was making noise that were considering repealing the Nation Speed Limit this entire industry went in to panic mode, what were they going to do, speed citations were their primary/only source of funding. NHTSA had a crisis of their own looming because their Traffic Law Enforcement (TLE) division constituents needed new crises to ensure their funding levels. TLE is staffed with officers on loan from their respective agencies learning how to write and administer enforcement grants. NHTSA’s marketing agency works with them to develop crises and the marketing plans to implement the need and support for intervention: road rage, aggressive driving, seat belts, red lights, zero tolerance to speed limits etc. The plan, yell fire and see which the public accepted best and then move to capitalize on them. It doesn’t matter much that none of them were fact based, they sounded good. 1995 the new PR campaign begins. The Stop Red Light Running Campaign is on virtually every network as well as local news program and newspaper across the Nation. The National Motorists Association (NMA) complains and NHTSA admits that their data was grossly exaggerated. Undeterred by facts, the USDOT in their 1996 release and again in a 1998 release began with 8,100 intersection fatalities as the nexus for their campaign against Red Light Running. True to form, as in all their (misinformation) campaigns, only a small percentage of these actually occurred at intersections with traffic lights, and much smaller number of those involved entries on red. Nonetheless, enforcement officers could earn personal supplemental pay for writing tickets, providing they met their enforcement quotas; by sitting in at high volume low accident rate intersections writing red light running tickets. Good program, high volume and easy money for all. After the success of these propaganda campaigns by the USDOT, this is when the art of using “Related” became something many other federal agencies began to emulate. Related is what you use when the conclusion isn’t supported by the facts. Name a PSA, program or study, repeat process based on “Related”, same incredible false foundations. For decades now not single “related” headline has survived review. Suffice to say that all studies that do not support USDOT agendas have been removed from the government reference base, been discredited or replaced with faux studies using NHTSA data designed to deceive. After decades of fraud why hasn’t the mainstream press reported the truth, because our rights and freedoms are dependent on transparency and public exposure of wrong doing. Think about this way, they need content and government safety headlines have become safe content, inexpensive to produce fill, which make great headlines. Add to this the US Government; insurance companies etc are also long term staples of their advertising revenues. It’s not good business to question one of your largest benefactors. Then there is always the good community member factor where we shall not speak badly about our public servants, our heroes. They would never doing anything except what is best for our safety, like Madoff did for his investors. Then, politicians add their weight behind the efforts; and here we find another miracle, articulated rescue legislation ready for enactment with a cute acronym title that was drafted weeks and months before the crisis in search of a solution headline was reported in the news. These are not coincidences. They’re well financed and orchestrated charades backed by tax payer funded national marketing plans to pummel the public with a barrage of releases that appear to be on the same message but arrived at independently. This is an end justifies the ends conspiracy on a scale that is unimaginable; what they have in common is empire building, power, unfettered access to the public trough and your wallet. Our Nation’s Highway Safety Programs themselves have become nothing more than Ponzi schemes that are reaching a breaking point! The oil shock wounded their cash cow and the economic downturn put it on life support; related fees, fines, surcharges and funding sources are all down dramatically while their operating cost has increased. Add to this, these Ponzi schemes also have massive unfunded legacy entitlement costs that are soaring. Their only source of funding is YOU! They need new crimes to be invented, with increased fees, fines and justifications for the MONEY! The USDOT even has a marketing group dedicated to inventing new crimes and justifications and creating the public myths needed for adoption. During the National Maximum Speed Limit (NMSL) Congress financed and mandated the build up of an army to write citations to save fuel that was to be paid for with the take from traffic citations? Which also meant an army of support personnel with facilities, courthouses etc. Billions of citations over the years written to motorists according to the FHWA for otherwise driving safely, creating a funding ADDICTION for this highway safety industrial complex with no viable alternative source, except new crimes and you. A failed policy for sure, but repealing the NMSL didn’t end its fiscal consequences. Now we had a public sector monster vested in writing citations and manned with people guaranteed a job, with retirement. Now, who pays for the estimated half million personnel that have now retired with full pay and benefits; officers, support staff, DAs, judges, court clerks, DMV etc whose jobs were based on traffic citation income? You! OH! Yes, we’re also paying for the retirement and medical plans for their replacements writing citations to those otherwise driving safely, too! Automated enforcement has become the public safety Promised Land because it gives them a chance increases their take, at lower cost. But before it could be made truly profitable the USDOT and the insurance companies conspired to totally eliminate the safety standard impediments and the pesky due process or Constitutional implications in their accessing your wallet. In the short term, they have succeeded because the courts also get a piece of the take, but this purported authority and its foundations were unlawfully promulgated by the USDOT and it’s challengeable. We claim they are killing us by the thousands each year, which is true. Let’s take a look how this effects roadway safety. There are so many organizations that use the word safety, so many they need their own phone book, have their own conventions and millions of members. But when it you get into the organization, infrastructure and engineering of safe roadways some shocking truths become apparent. Each is only interested in its own interest and there is no person, or procedure under our federal safety standards to assure the safety of roadway. In 1988, federal law required a safety audit (comprehensive engineering study) on every roadway open to public travel once every five years, it never happened, still the case 20 years later. In states like California that require them on some classifications of roads, they have devolved into a 10 minute survey that has gone out to bid for as little as 35 dollars each. Of course the engineer that signs it did not review the safety condition or read the accident reports, either. Oh, this is good for seven years there. When we complained to the FHWA, they removed the requirement and said you can now set all traffic control per local whim, it doesn’t matter that this is insanely unsafe practice and contrary to our federal laws. The traffic engineers do traffic control devices, if you have one, the majority of the entities do not have traffic engineers. The police write citations, emergency services respond to incidents and public works builds the roadways. There are too many of the following to explain them here, but federal law requires every device in the public right of way be designed to breakaway because during the life of the roadway the probability of an errant collision is high. Notwithstanding, the traffic engineer’s authority, if you have one, stops with the traffic control device. If the city decides to plant a tree that when it matures is two feet in diameter behind a breakaway bus stop sign, there is no mechanism or safety engineer who has authority oversight to stop it. The number leading killers on extended trips is sleep deficit, fatigue, complications form medical conditions etc and the most effective remedy has been encouraging the use of rest stops to get out and walk around or to take cat naps. We have the money to pay overtime with ticket quotas, but no money to keep our rest areas open. Per the head of the FHWA Office of Traffic Operations (HOTO), we have no time for standards or practice oversight, we’re just not interested in it; our focus is on building roadways. In addition to removing factual foundations for roadways, they sanctioned yellow light timing that gives a green light to cross traffic without adequate time for the conflicting traffic to clear. Don’t worry; it makes your town or city lots of money. In fact one member of the traffic safety industrial complex (Lockheed Martin) parleyed its public sector VP (prior House Transportation Committee Chairman), and a member of its board of directors (wife of US VP) into a cabinet post; and then they hired a former Chief of the California Highway Patrol as its automated division president, spokesperson. What an effective and profitable enterprise for the money - according to the Washington DC public safety officials. Writing more than 70,000 citations a month, mostly to visitors, based on very unsafe engineering practices which increase their take. It’s for safety, despite the 70 thousand safety tickets written in a month that must make it the safest place in the US - DC has the dubious honor of having one of the highest insurance claim rates in the country. They were writing so many citations that the city employee responsible for fine collect told those that got a citation, and thought they were innocent, DC was no longer able to see people in person, so if you have complaint, send us a letter. When the public uproar got to be a problem for LM, they sold this operation for 800 millions, and shortly thereafter their VP resigned his Transportation Cabinet post. Don’t worry the insurance have figured out to get their pound of flesh, using their access to each state’s DMV records and their proprietary underwriting practices, without legislative approval or points being assessed to a driving record, they are picking and choosing justification that just appear on the new premium statement, without explanation. The following can cause up to a doubling of premiums, one day late paying, poor credit report, child support action, the mention of an incident even if no claim is filed, a vehicle you own caught in automated enforcement trap or by license plate reader for unpaid property tax or records latency between a payment and it being register in the computer record etc. Notwithstanding, there is only so much money you can steal in the name of safety before those you think you’ve conquered get out their pitchforks, and our ‘We the People’ Constitution is on our side. Does the bailout cover USA made pitchforks or light sabers? We would have said Tea Bags, but it seemed a little inadequate. 2. That every public agency that could issue a press release, would claim credit for their program du jure’s reductions in fatalities which they had nothing whatsoever to do with. Both were right on point and came true! Which prognosticator has the greatest direct correlation to fatality rates? It’s the health of the economy, unemployment rates, the cost and availability of fuel and how these affect travel patterns, vehicle choice, occupancy and miles driven. It’s not traffic enforcement, the number posted on a sign, zero tolerance, roadblock, check your papers or pretext stops, devices or method of communication, double fines or the age of the driver. During periods of a system shock, the highest risk discretionary driving all but ceases. Therefore the drop in fatalities will always be greater than the reduction in miles driven. During these shock periods vehicles and roadways improve and by the time the economy recovers, the rates appear to plateau for a few years, as they gradual return of the highest risk activities are mitigated for by the improvements. Thus, when charted over time, the overall rates continue their historical decline virtually unabated. Let’s talk about some of the recent Trojan Horse headlines; free content that the media outlets love to use and pontificate on, but never verify. There is no excuse for the Politicians except ignorance or power, and neither is a good answer. Great attention getting headline and double the 6,400 deaths a year the lobbyist safety experts, IIHS, NHTSA et al claimed would occur if the speed limits were repealed in 1995, which never happened. Speeds went up, death rates dropped, and this correlation over 10 years to higher posted limits is no less incredible. Then there were the lives purportedly saved by the 55 mph limit, by NHTSA, courtesy of the same pool of creative statisticians we are getting our current jobs created and economic recovery data from. There are many correlated causation factors in short term incremental fatality rate increases which include normal deviations, the economy, weather, roadway environment and nature of use; but raising the number on a sign on a limited access highway isn’t one of them! Montana Paradox: During this period of this purported increase caused by higher posted limits, Montana recorded its lowest fatality rate in modern times by eliminating its daytime speed limits. By James H. Burch II, Acting Director, Bureau of Justice Assistance, U.S. Department of Justice, Washington, D.C.; and Michael N. Geraci, Director, Office of Safety Programs, National Highway Traffic Safety Administration, U.S. Department of Transportation, Washington, D.C. The parallels here to our current criminal justice system, the USDOT, DOJ, NIJ, BJA, IACP, et al, the Stanford Prison Experiment and our Founding Fathers’ fears of the manifestation of power, are all combined in this effort. The title belies the truth, this is nothing more than using traffic stops as a pretext for selective enforcement, profiling and papers checks. AKA Community Policing and DDACTS. We have made many data driven solution recommendation that could make the roadways safer, but that is all they would do. Therefore funding is virtually impossible. We have the quaint and old fashioned belief that the Constitution has meaning, that USDOT administrative acts must be in compliance with the Constitution, Congress’ intent and federal regulation that govern its conduct, including its oversight responsibilities, and that all engineering practices be fact based and the exercise of police powers conform to the requirements of our laws. Roadway safety and all traffic control is governed by Law of the Land; the U.S. Constitution, Congress’ intent in this field, Title 23 and its MUTCD et al, Supremacy, Commerce and Equal Protection Clause(s), the 4th, 5th, 6th and 14th amendment protections thereof regarding the exercise of police powers enforcing federally regulated devices. The exercise of police powers thereof SHALL also be fact based and uniformly applied regardless of state lines, entity type or classification on any public or private roadway, pedestrian facility or bikeway open to the public within the U.S. and its territories. A concept that is openly ridiculed and to our knowledge, not a single entity in the country is in compliance. We even have considered running a contest to find just one location. Bottom line, without oversight by the USDOT, no one else in the system will act against their own interest regardless of the Law of the Land. When you overlay actual risk, the law and practice, over 90 percent of our current traffic stops are for invented reasons, for revenue, and not safety according to the FHWA. Stopping someone for a license plate light being out has always been tenuous probable cause, at best. Then you add federal ticket quotas and incentives for writing citations for personal gain, pretext roadblocks that become paper checks in selected communities where assessments are often greater than a hundred thousand dollars in fees and fines in a single day, not counting the confiscation of more than a hundred vehicles. How did we get to point where these are good things? These programs are turning us into a police state, it’s not policing for the common good. Safety and fair laws need dedicated professionals that are champions for their profession, the rule of law, uniformity and fact based standards, as well as common good stewards for “We the People”. Maybe the USDOT just needs a little help to find the instruction manual that came with its charter.